Bucs for Better Basketball will offer Winter Challenge Tournaments (WCT) instead of the winter challenge league that was offered in prior years. The WCTs are available for boys who are in 3rd through 8th grade, and will take place on three Saturdays over the course of the winter: January 19, 2019, February 23, 2019 and March 23, 2019. The league is open to teams from Grand Haven and surrounding communities and is designed to increase and maximize competition by playing a variety of local and non-local teams. An effort is made to base game match ups on team skill, regardless of grade. 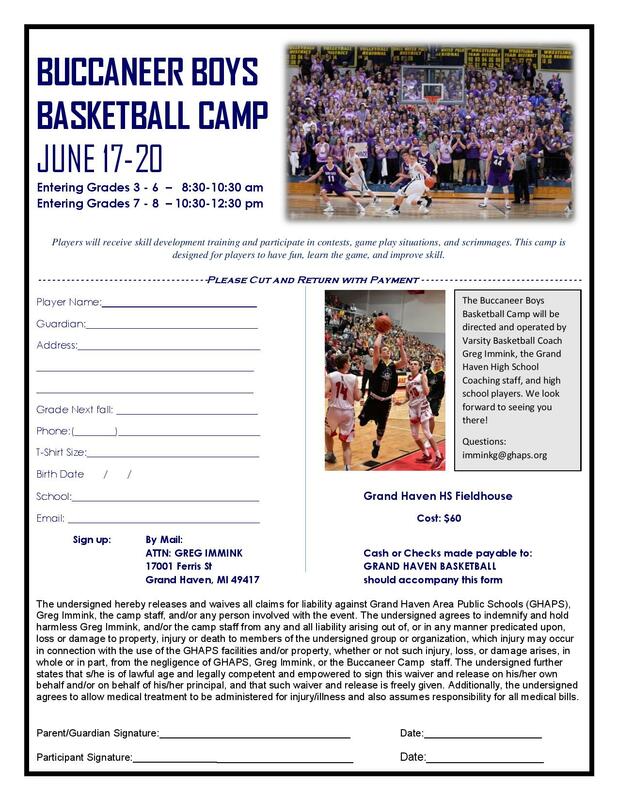 All games are played in Grand Haven at Grand Haven High School and White Pines Intermediate School. For 3rd grade teams it is IMPORTANT to note you will likely play 4th grade teams, as external 3rd grade teams are difficult to find. 1. Complete the Winter Challenge Tournament Team Registration and provide payment to NORA at the time of registration. 2. Have all players on your roster complete the Participant Release, Indemnification, and Hold Harmless Agreement and provide it to the B Cubed Winter Challenge Tournament Director before your first game. 3. Make your head coach aware of the Coaching Code of Conduct Agreement we require to be signed by our area coaches. Your head coach is not required to sign this document, but must abide by its expectations. All participants may want to be aware of the Winter Challenge Tournament Expectations of Parents, Players, and Coaches and theWinter Challenge Tournament Game Rules.